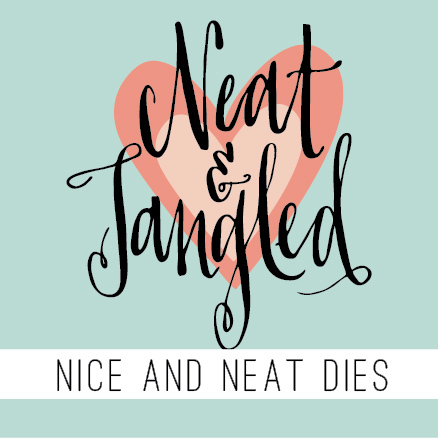 Blog Hop Introducing Nice and Neat: Neat and Tangled's Steel Dies! After lots of requests and planning I am so happy to introduce to you Nice and Neat Dies! This month we will be introducing two dies to coordinate with two of our most popular sets: On the Corner and A Lot to Say. These dies are available NOW in the SHOP! We have a fabulous blog hop for you today to showcase these products and a giveaway too! Next on the hop is Yana! Head over to see her amazing card! Be sure to comment all along the way! Here is the full hop order if you get lost! - Leave comments all along the hop! The winners will be chosen from comments all along the hop! - Follow us on Facebook and share our exciting news with your friends! - Follow us on Twitter and tweet the good news! Thank you so much for hopping along with us today! I LOVE your card Danielle...the smidge of pattern is so much fun! I'm so thrilled to see coordinating dies for some of my favourite sets! Congrats on this new product line! Love, love, love! And your card is awesome! oh my goodness! dies - that's AWESOME!!!! so exciting for this new adventure for N&T stamps! :) your card is TO DIE FOR!! that gold embossing paste background...stitching...colors...swoon!! wow oh wow!! So fun you are carrying the dies now...love the card with the pp at the bottom of the speech bubble. SOOOO exciting! 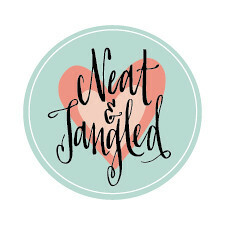 What a fun new big step for Neat and Tangled! LOVE your card too!!! 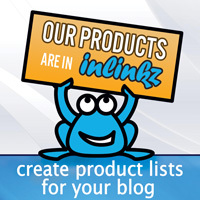 So exciting that you have created dies! Danielle your cad is fantastic! I tweeted about the new dies! Gorgeous card Danielle! I love the gold paste circles and how you used the die with the paper/sentiment and stitching at the bottom. You know I am thrilled about this announcement! Beautiful card! Love the patterned paper and the stitching you used! Love love your card, Danielle! The diecut does make everything look neat and tidy! Congrats on the start of making dies! WTG! Love this card and those dies! The On the Corner Die is going to come in so handy! I know I'd use both, but my favorite is A Lot To Say. Great that you're getting dies to go with your stamps--love it! Your card is just wonderful--best use of a speech bubble I've ever seen! such beautiful card, Danielle! Love that bold black sentiment! Very cute card--I like the patterned paper and stitching. Love that you are carrying dies. What a swell card -- love the retro paper! What a amazing card! The new dies are stunning! LOVE! Love your card, great colors, papers and elements. The word bubble is great. Love both of the stamp and die sets, thank you for giving us a chance to win one of them. Cool dies to start to the release! 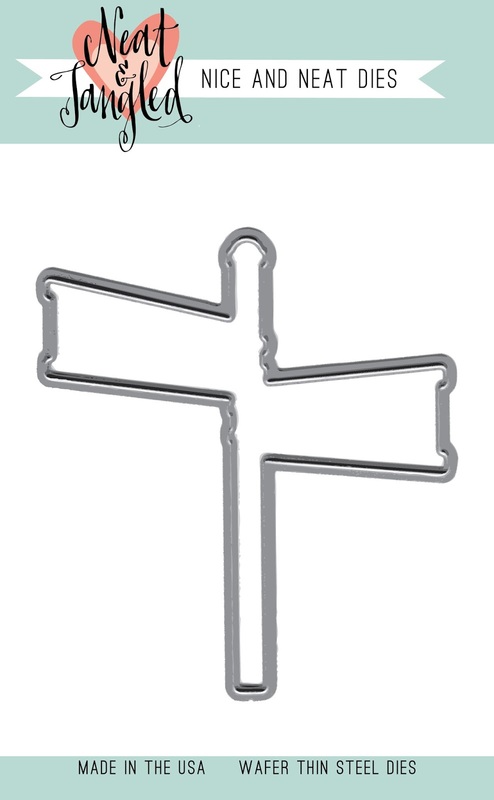 Great new dies! One can never have enough in the craft room! excited! those dies are on the list! I like how you put the words on the speech bubble like that. GREAT choices for N&T's first dies. Love your big beautiful speech bubble card! very versatile "On the Corner" die. Nice cards!! 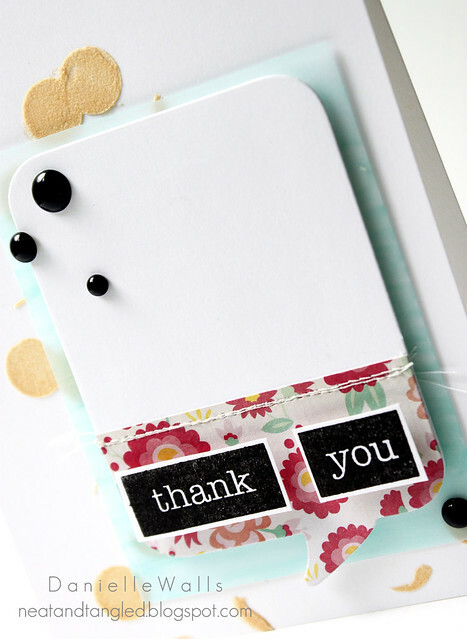 Love your gorgeous card design, that die is used so creatively!!! Yay! Two of my favorite things: Neat and Tangled+dies! Oh happy day! Yay! So happy you're carrying dies now! Love this card & so exciting about the dies! Woohoo! Adding dies to your wonderful stamp collection is brilliant, and starting with these two absolutely fabulous! Your showcase cards = wonderful inspiration! WOW!! Matching dies - yippee! I just LOVE them! And gorgeous card, Danielle! Great day of hopping. Glad to see the sign die. Will make life much easier when trying to layer the signs. 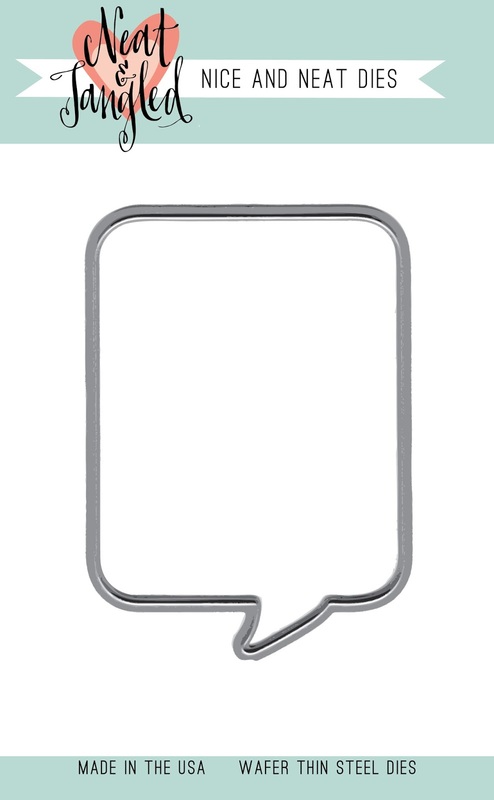 The large speech bubble is also a wonderful idea. Need lots of room for sentiments - now we have it. thanks for having the hop. WooHoo! on the matching dies! I AM SO GLAD YOU CAME OUT WITH THE NEW STEEL DIES! I love the set On the Corner! Your card is fabulous! Love the card, so nice and bright and crisp. What a fun card! I love the floral paper and the stitching! What a sweet card! I love the feminine touches on it! Fabulous - love your stamps and to have matching dies - what a treat! Liked you and shared on FB! Love the card with big quote die cut! beautiful embellishment too! I am so excited that you are doing dies now!! I am addicted to die cutting and of course Neat and Tangled stamps!! This is such awesome news!! And, as always, you have made a gorgeous card!! I love the pattern on the bottom and the stitching!! Cute, cute card. As soon as I received the email regarding these dies I hopped right over here and bought the On the Corner die. I love both sets of the stamps and the die will add more options. Thanks so much. Love these , bought the on the corner after the last blog hop. Would love the others.